Our beautiful, hilarious and loved beyond words dude, LB, drowned in the bath in an NHS assessment and treatment unit on July 4th 2013. He was 18. And diagnosed with, amongst other stuff, epilepsy. I have blogged about being LB’s mum since 2011. This started off as a funny, chirpy record of life with an exceptional dude who forged his own way through life, regularly smashing typical expectations and making visible constraints and rules around ‘acceptable’ behaviour. This year it became more a record of the lack of health and social care support and provision for young learning disabled people as LB was admitted to the unit in March. His death was another shocking example of the ‘death by (complete/utter/crapshite/beyond acceptable) indifference’ highlighted by Mencap’s 2007 report, followed by ‘Death by indifference: 74 deaths and counting. A progress report five years on’. We clearly have “an NHS that that continues to fail people with a learning disability, doctors whose practices appear to show no regard to the Equality Act or Mental Capacity Act, and nurses who fail to provide even basic care to people with a learning disability”. The full story (minus the details that will form part of the inquest process) is detailed at mydaftlife. With a ‘read and weep’ warning, for those who know nothing of the terrible developments. Anyway, parking this for a moment. One of the things we discovered soon after LB died was that a) it’s hugely important to have legal representation at the inquest when someone dies unexpectedly in state care and b) this representation costs a fortune. [I know. We could not believe this. Our dude died in state care and yet, it will cost us literally £1000s to make sure there is a transparent process examining what went so catastrophically wrong and to make sure there is effective change. Enragingly unfair]. So. Here we are. Launching LB’s Fighting Fund. To raise money towards the costs of legal representation at the inquest (which will be held at some point in the next year). Many people have said they want to help in some way and we hit on the idea of raising some of the money using LB’s remarkable artwork. The details of this can be found in the ‘fundraising’ tab on this blog. If any legal costs are recovered, or if LB’s artwork generates more money than the costs needed (because he was a cracking artist, after all), any remaining money will be split between INQUEST.org and Oxfordshire Family Support Network (OxFSN). Two exceptional charities. I think that just about covers it really. We will be updating what we can report about the process of investigation regularly at mydaftlife, and the fundraising campaign here. It’s time dudes like LB had a proper crack at life. With a good dose of imagination, aspiration, thought and collective care chucked in. All my best to you in your fight. Hope you’re able to get LB the justice you crave so deeply — the justice he deserves. If I can offer any help and support to you during your battle for justice please do not hesitate to get in touch! I have been thinking of you and your family since I heard about this crime against LB and have been reminded by others who know you that we must learn from this trauma so it can not happen again! Completely unacceptable! I hope the inquest raises so much public support in outrage that LB becomes the dude legacy for change. This cannot continue. Know you are alone there is an army willing to join your this fight for justice. Completely unacceptable! I hope the inquest raises so much public support in outrage that LB becomes the dude legacy for change. This cannot continue. Know you are not alone there is an army willing to join your/ this fight for justice. This horrendous tragedy could have been avoided. All the best for your continuous battle ahead. Things need to change BIG TIME. My name is Lynsey, I am currently studying a BA in Learning Difficulties. 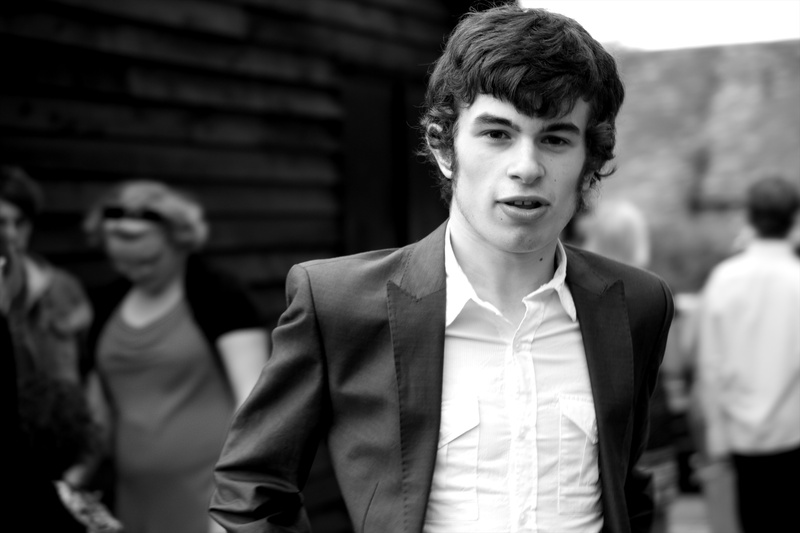 As part of our course work, we have been asked to research and create a presentation based Connor Sparrowhawk’s death, and about how the medical model is still part of todays society. My group have been looking into Connor’s Time at Slade House, and we have found that his medication changed in April/May which lead to his seizures becoming more frequent and his behaviour changing causing him to be tired and depressed. We were wondering if you would be able to tell us why his medication was changed? If that is too personal we understand.